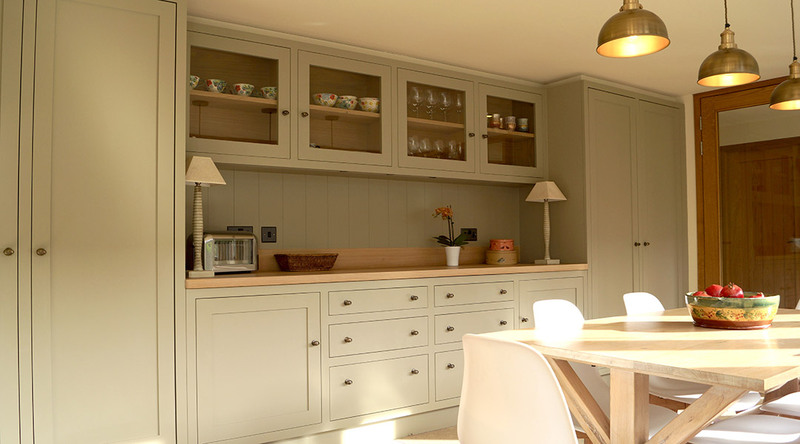 The owners of this stunning farmhouse always felt cramped in their tiny, hardworking kitchen. 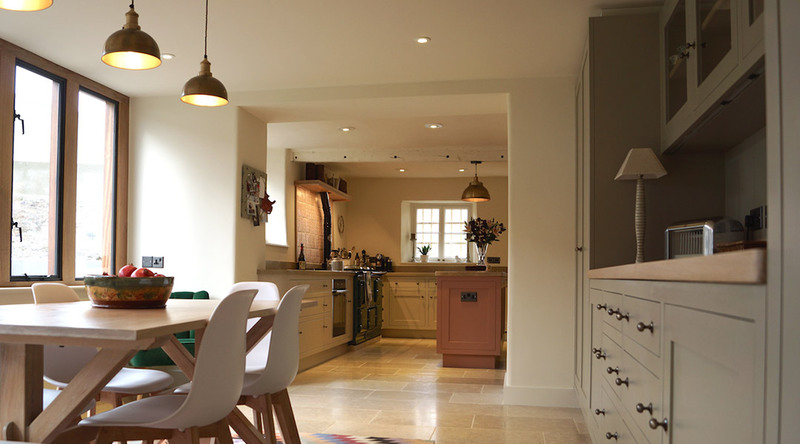 An outside wall was removed and a light filled extension added, large limestone slabs and underfloor heating were laid and beautiful bespoke Shaker style kitchen cabinetry added. 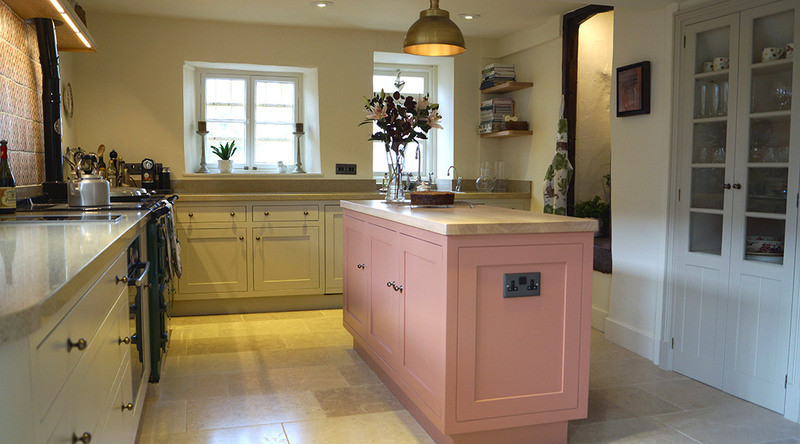 We kept the colours light and warm to work with the other colours in adjacent rooms, warm creams and sage coloured neutrals, but added a beautiful sandy pink to the central island to add interest to the room. 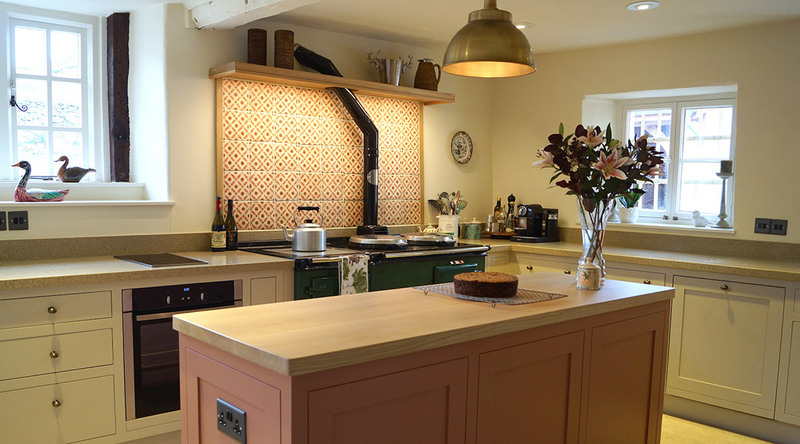 This tied in with the handmade tiles we added behind the Aga. 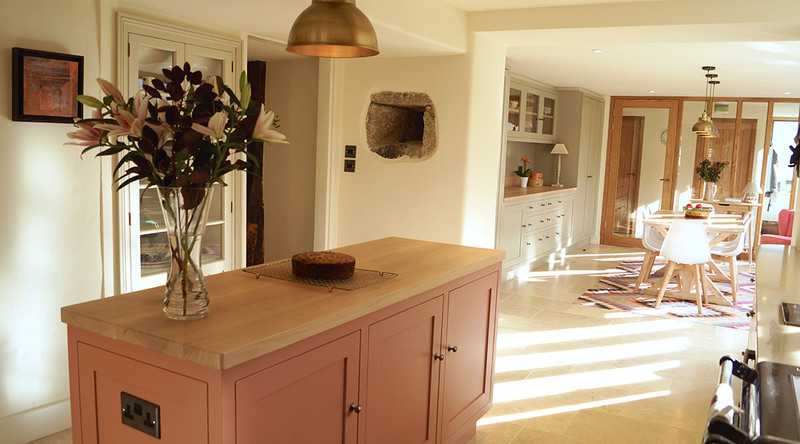 The transformation has not only lifted the whole look and feel of the ground floor, but has also given our clients a fabulous space to live and entertain in and it has been an absolute joy to behold. 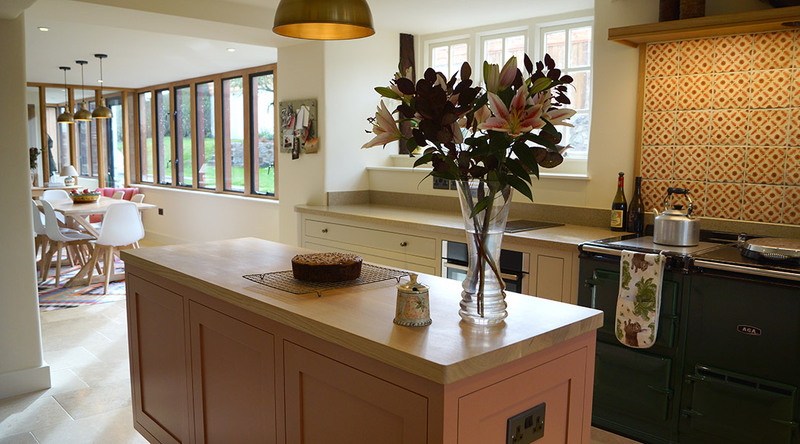 Very happy clients and a beautiful revamped kitchen, a lovely project to help with.